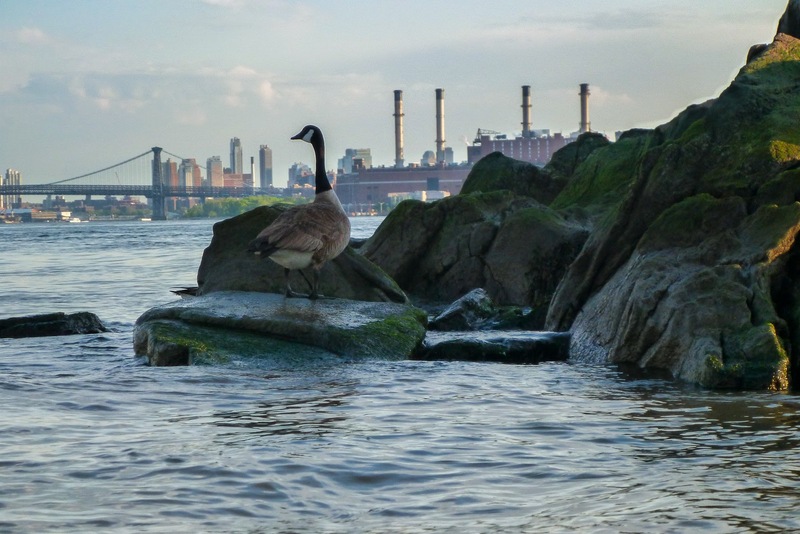 Canada goose, East River, May 2014. 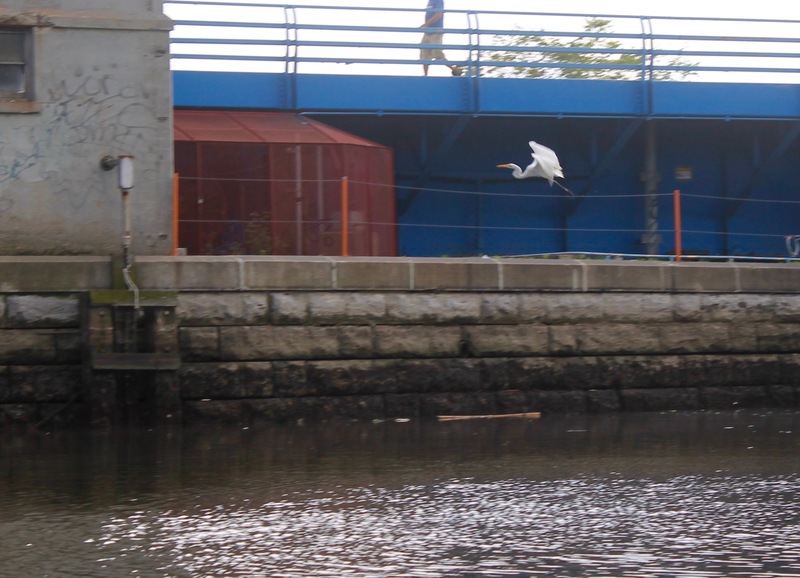 Photo by Klaus S.
On most Fridays this summer, NBBC trip leaders have organized birdwatching paddles on Newtown Creek. These trips along the heavily industrialized and abused waterway have made it clear how resilient the birds of New York are and how they find a way to thrive even in the toughest circumstances. 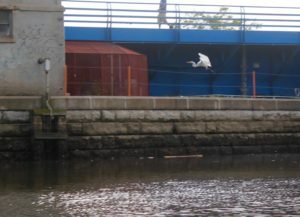 Dutch Kills, which in the language of the indigenous inhabitants of Greenpoint was called “bears’ watering place,” is one of the most polluted sections of the creek, slow to cleanse from spills and overflows, but it is home and resting place for great egrets, black-crowned night heron, yellow-crowned night heron, green heron, plovers, cormorants, geese, and many other birds. 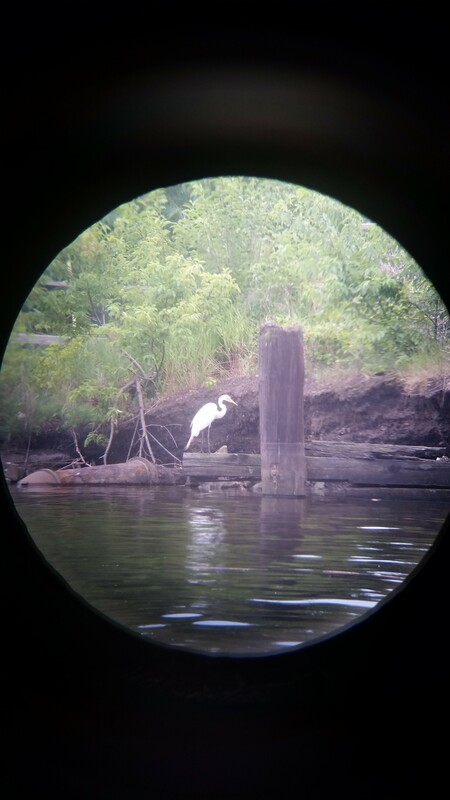 We share the waterways of New York with many creatures, and many of these would remain mysteries if we were not out on the water, exploring our home in order to see the it anew and know it in new ways, as if for the first time. 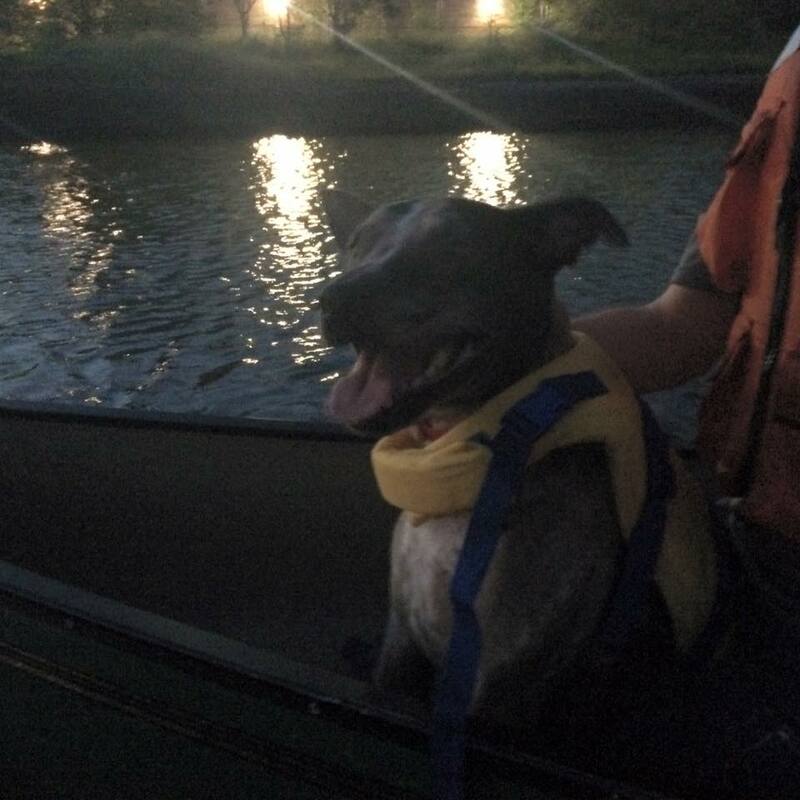 And sometimes the charismatic megafauna is in the boat with us! 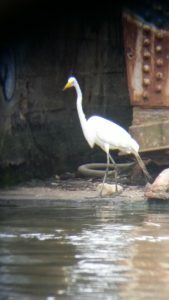 This entry was posted in Uncategorized and tagged birdwatching, charismatic megafauna, conservation, Newtown Creek, paddles, Wildlife on October 11, 2016 by M. H..